Alright, lets walk through the checkout process. The first thing is to make sure there are items in your cart, otherwise we cannot really do anything. This really isn't any good, lets try it again. Go back to online_home and add a product to your cart. That is much better. However, if you are ordering from your employee website, you need to make sure you fill out a company and contact before you can progress to the next screen. Before you finish checking out, you will have to approve the final images. Just your initials will work fine. For more information, check the artwork_approval Page. The shipping page can get a little bit complicated. 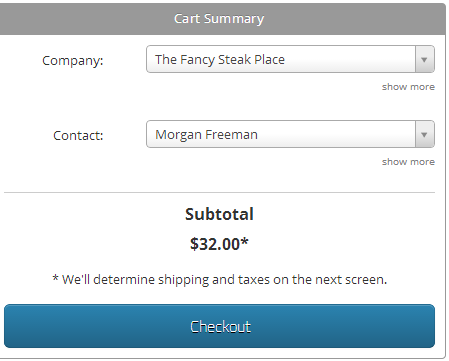 The person placing the order has to choose which shipping method to use for the order, but they can only choose from the list of shipping methods that have been added for their website. 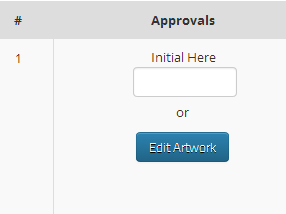 Adding and editing shipping methods is done under Settings. For more information on adding a shipping method, go to set_up_your_shipping_methods. Once you have chosen a shipping method, you will be asked to fill out the relevant shipping information. Cyrious Online will fill out as much of it as possible based on the Contact's profile, but if the Contact's profile is empty, you will have to fill this information out during the ordering process. To edit a Contact's profile or view their Company information, check the contacts page. There is nothing to fill out on the right hand side of the page, but it has all of the information that a receipt would have. 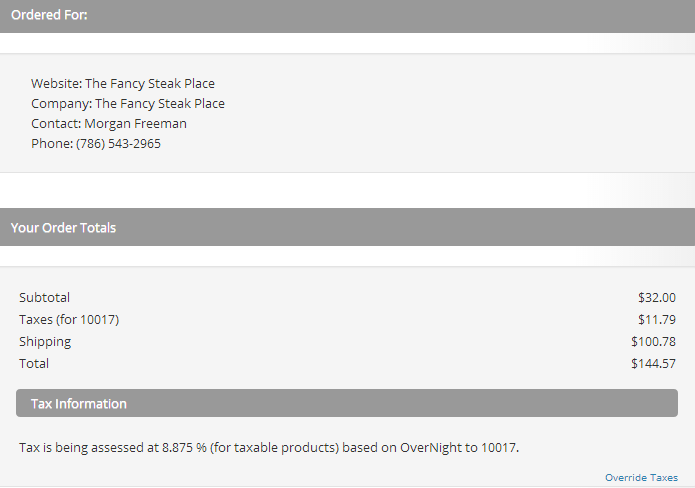 The Payment tab is going to look different based on your Business and Company settings. For more information on how to setup Paypal in your Business settings, check out the Setting up Paypal page. For more information on allowing a Company to pay on account, check out the Company's Financial page. Regardless, the top left of the screen will be where the payment information is required. Below that, you have the ability to enter a PO/Reference number. If you want this ability for your employee site, but do not want to give customers that option, contact Cyrious Support, and we will walk you through removing that option from a customer storefront. On the right hand of the screen, both the employee website and the customer storefront has the ability to enter notes on the order. The confirmation page shows all of the information about the order one last time before it is placed. If you want to go back and edit any of the information, you can click on the Arrows at the top to go back to their particular step. If all of the information looks right, hit Place Order.